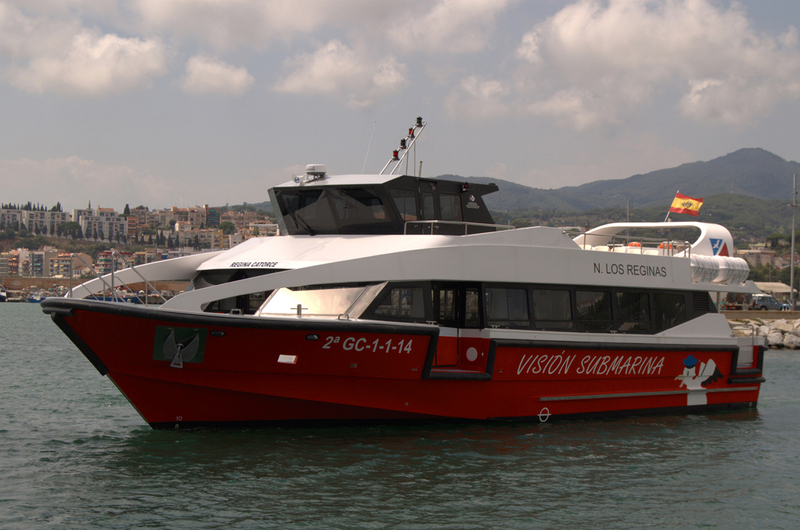 The new monohull ,for Santander, built by Drassanes Dalmau has 22 meters of length and capacity for 180 persons. This new ship is more efficient than his predecessors because has incorporated a new structural design more lightweight that can go to the same velocities with less power. In consequence, this boat can reduce the fuel consumption. -Two bars, one in each deck. -3 toilet, one of this is prepared for handicapped persons. - Boarding zones at different heights, specifically designed for zones with tidal variables. - Rubber protections around the boat for avoiding small collisions. - Bow propeller for port maneuverability. Now the boat is working in Santander.